Windows Installer or Microsoft Installer is a basic window operating system component used for installing updating and uninstalling software or applications. Software developers setup MSI files as single installation package to run maintain and install software easily. 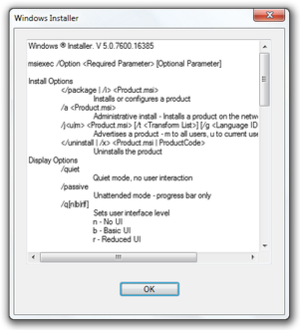 Windows installer was released to use on any windows platforms from Windows XP to Windows 8.1. The installer also came up with a useful feature called MsiLockPermissionsEx which is used to secure services like new accounts, registry keys, files, and folder. As compared to the older versions of InstallShield Microsoft has made some important changes in the recent version of Windows Installer 4.5 and 5.0. Before you proceed to download windows installer make sure to confirm your version of windows either 32-bit or 64-bit. A link is provided below to download the installer for Windows XP, Windows 7, Windows 8.1, windows vista and windows server.